This blog is gaining in popularity each day. The very first post was on May 19, 2013. As of this writing, it has over 70,000 views. Not bad for a blog that really is only a few months old. So I decided to get a permanent domain of https://www.seductioninthekitchen.com. That is right, I dropped the .blogspot portion of the URL. Do not worry, if you saved or pinned any the recipes with the .blogspot it will automatically be redirected. I told you I have been making some changes, both in my personal life and also on here. Notice the new logo as well. The old one was ok, but truthfully I wasn’t that crazy about it, plus I thought too big and was slowing the site down, so I made a change. I know the last few posts I keep talking about change, change is important in life. We have to change, we have to grow, we have to adapt. Everything around us changes, let’s be honest, how things are today, is not the same as I or you for that matter, growing up. Time evolved, technology, and people’s attitudes have all changed from growing up in the 80’s and 90’s. My time era, I should really say. My one friend has a annual Halloween party, last year one my co-workers wanted to do an 80’s costume. She went to her Aunts and she basically went through a box of clothes she kept. What is sad was, they were real clothes, that was how we dressed. I remember doing the side ponytail, leg warmers, head bands, bright colors. That was what we wore to school. Now they are Halloween costumes. I guess the ones that wore poodle skirts kinda feel the same when they see them as costumes as I am feeling. It just weird, but also shows how we changed, how we have evolved. And the taste, oh is it smooth and so wonderful. Each time we mixed it into another drink we could taste it different, but basically it reminded you of a butterscotch almost type of taste. So when I was making this recipe as I was making the buttercream, I decided to throw a splash of this into it. Wow, it gave the buttercream a great WOW factor. It really is good. If you want to learn more about Dumante, check out it’s website. You will be glad you did, This is by far to me the best liquer I have tasted. So what inspired me to do this cupcake, truthfully, I had received a recipe from Disney for their Apple Pie cupcakes from the Main Street Bakery so I could put up on The Recipes of Disney blog I have, yes I have 3 blogs. Anyway as I was putting it up, it sparked something in me to make them, but I wanted to do my version of them. I will make the cupcakes how I make them. I do use cake mix, and one it is one of the rare times I actually use a box mix, but I doctor it up. Plus I have a boss whose birthday is in a few days, and she has never had any of my cakes. I normally make cakes for people’s birthday at work.. I decided these would be perfect for that. So I made them, and I am so glad I did, the results came out so fab! A #cupcake with #apple #pie filling and a #caramel #buttercream frosting infused with #Dumante Verdenoce #Pistachio #Liquer. A #recipe from Seduction in the Kitchen. First mix the cake mix with the eggs, yogurt, oil, water, cream, and pudding. One thing you notice is I cut way down on the oil. When I make cakes, I use the yogurt, it really helps make it tasty and it cuts out the fat. A secret I learned a long time ago. Plus what is nice with so many flavors of yogurt out there you can really help flavor the fake with it. Yes that is why I chose the apple turnover flavor, now if you can not find the apple turnover use the french vanilla or plain vanilla one instead. Next, fill cupcake liners about 2/3 the way full. Then bake them in a preheated oven at 350 for about 18-20 minutes. When done just check to make sure they are done by doing the tooth pick or knife test. It when you stick a tooth pick or a clean knife in the center if comes up with batter bake them a few more minutes. If it comes up clean then they are done. Let the cakes cool. When they are cool, take a knife and cut the centers out, but only cut down half way into the cake. Ste the centers aside for the time being, Though I admit I do the cakes one at time. When I say one at a time I mean I cut the center out, and then fill it with the apple pie filling, then replace. It easier for me to do that. Also find it easier the kind of break the apples with the spoon in the can, before scooping out the filling, it will fit better in that hole I made in the cakes. Then of course I replace the centers BUT I place them upside down. meaning the top part is on top the filling and the coned part is up right. This helps build a nice mound of frosting. Another secret I learned. Time for frosting, cream the butter and shortening together. 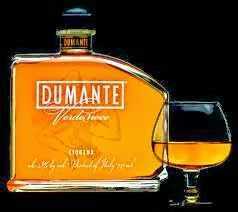 Then mix in the extracts and the Dumante if you want. It is best when you make a buttercream to use clear vanilla, You can use the real stuff, it just slightly tints the frosting. The clear keeps it white. I admit I have used real vanilla in frostings. Then mix in the caramel sauce. For the sauce just use an ice cream topping caramel, it mix better for you and doesn’t over sweeten the buttercream I think. Then add the cream, this helps thin it to spreading consistency. If want stiffer add a little more sugar or cut back on the heavy cream. Take a gallon Ziploc bag, spoon the butter cream into it, before close the bag, pres the air out, and get the butter cream to the one corner. Then seal the bag and cut a small part the corner off, That is your frosting bag. The bigger you cut the tip the more the frosting comes out, so Do not go real big, but do not go real big or real small either. I say cut about 1/4 of inch off the bag. Pie a ring just around the hole you cut and where the center is sitting. This what they call a icing dam, it help you build the frosting up, if your real good, you can continue to keep going without stopping. otherwise take your time and on top the dam, start to pipe upwards to cover that center with the buttercream. 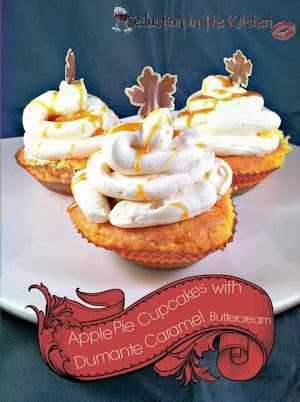 After your done piping on the frosting, drizzle on some the caramel sauce on the top the cupcakes.